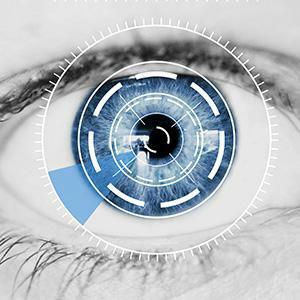 Board-Certified Ophthalmologist Raleigh, NC- Watson Dry Eye Center | Susan Watson, M.D. 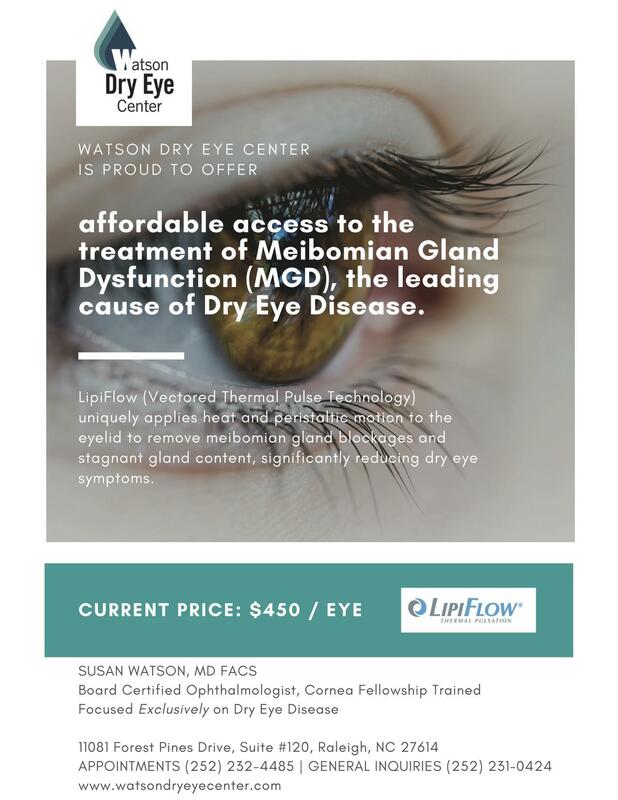 Susan Watson, MD, is the first board-certified, fellowship-trained surgeon in the Raleigh, North Carolina, area to specialize exclusively in ocular surface disease, also known as dry eye disease. 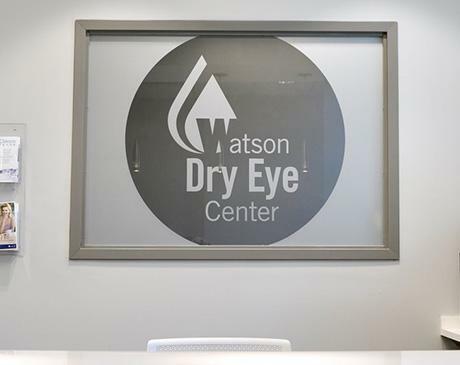 The founder of Watson Dry Eye Center, Dr. Watson practiced general ophthalmology for 30-plus years in eastern North Carolina before committing to dry eye disease full-time. After performing over 17,000 refractive eye surgeries, she saw too many of her patients suffering from dry, itchy, blurry vision and wanted to do something about it. 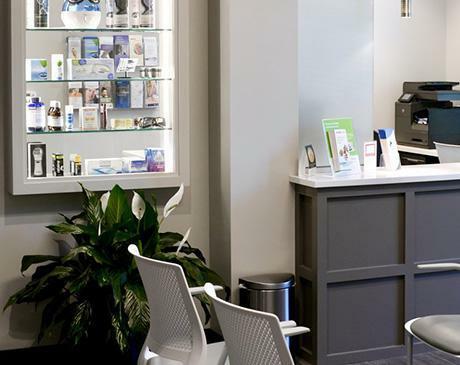 The team at Watson Dry Eye Center endeavors to treat every patient individually in order to understand their goals and to help them find relief. To that end, Dr. Watson brings the latest technology and science to her practice, including intense pulsed light and radiofrequency therapies, in order to provide her patients with immediate relief, as well as long-lasting solutions. Dr. Watson attended Miami University in Ohio, earning her bachelor of arts degree in mathematics and her master’s degree in statistics. Following her medical school training at the University of Cincinnati, she completed her residency at Michael Reese Hospital/University of Illinois College of Medicine in Chicago. She completed her fellowship in corneal disease and surgery at Ohio State University. Dr. Watson is a fellow of the American College of Surgeons and the American Board of Ophthalmology and is a member of the American Medical Association. By specializing in dry eye diseases, Dr. Watson is excited to share her extensive knowledge and experience with patients in the Triangle area and beyond. 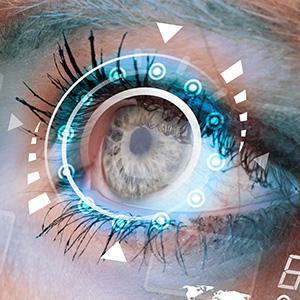 Do your eyes feel tired after working on a computer or cell phone? 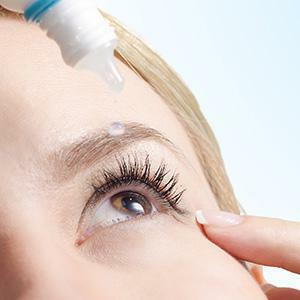 Are your contact lenses uncomfortable? 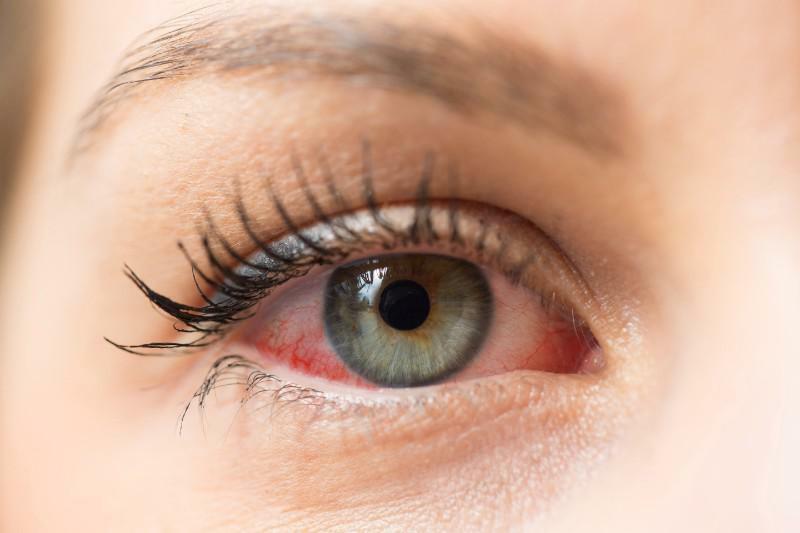 Are your eyes red, crusty, or irritated? You're not alone. Over 80 million people suffer from this debilitating disease, and prevalence is on the rise. We are dedicated to helping you find relief from dry eyes. Combining her 30+ years of experience in treating patients from across Eastern North Carolina with the latest research and technology, Dr. Watson brings knowledge and passion to every patient interaction.